My fees are based upon the time required at the venue (excluding getting ready and packing up) and include any amount of piping within that time. They are also inclusive of travelling costs for within the Melbourne metropolitan area. Over 2 hours: please contact me for a quote. My 15 minute option is for short engagements such as Birthdays or Retirements or playing at the start only of a Wedding or Funeral. If I was needed only at the end of a Wedding or Funeral, I would still need to arrive ahead of time, which would be a 30 minute charge. Please note there is a $10 surcharge for CBD Parking. 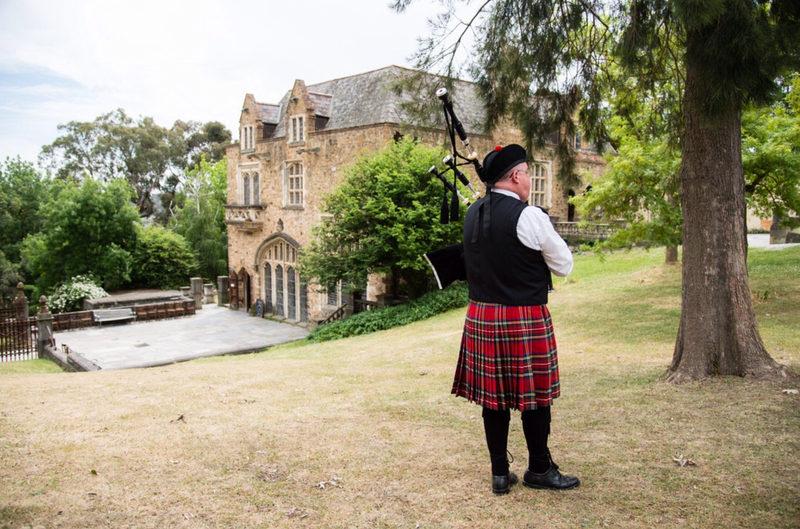 Arrangements are usually made over the phone or via email, however all fees include an optional consultation at our home address to audition tunes demonstrated on the bagpipes and to discuss your requirements. I am also happy to meet at your address if it works in with my travelling schedule.